I don't know how it started but Duc's been on a slow cooker kick lately in terms of egging me on to use it more and more. We were in possession of several pounds of ground beef one week and much too many boxes of mushrooms. What to do? Well, let's combine the situations and make a meatloaf! 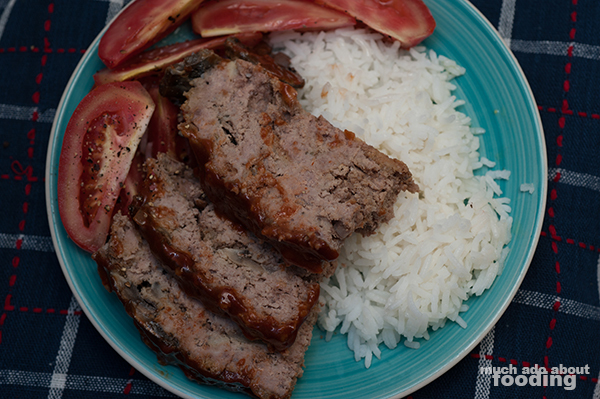 I have never made a meatloaf before but it didn't seem too difficult. It's also a bit comforting to have, right? After looking around a few places for their recipes and suggestions, I realized that we should start with simple. 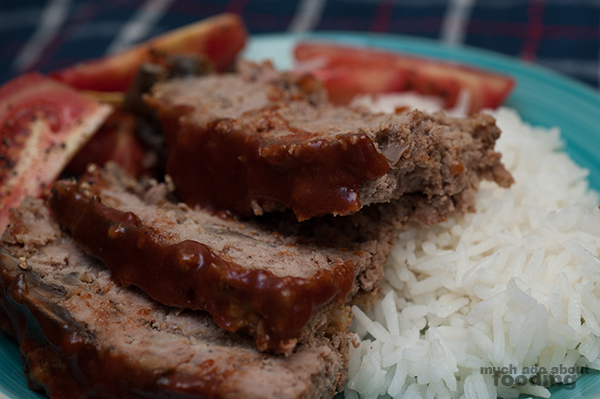 The basic composition of a meatloaf is easy enough so we packed them together, topped it all of with a slightly spicy sauce of Kickin' Ketchup (mixed with other things), and had a good ol' few meals. I love how you can just set it and forget it when using a slow cooker; maybe this can be your next weeknight meal after a long day at work? 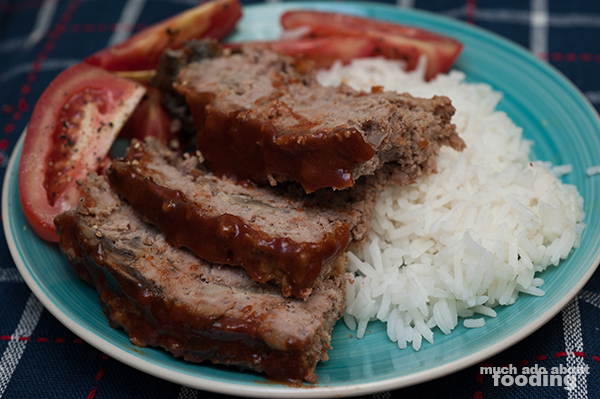 The beauty of prepping a meatloaf? Its simplicity. Mix together sage, oregano, thyme, garlic salt, eggs, milk, bread, onion, and half the amount of mushrooms. Then thoroughly combine with beef and black pepper. Lay mixture into greased/oiled slow cooker vessel and shape into a loaf. Surround sides with remaining sliced mushrooms. Cover slow cooker and cook for 5-6 hours on Low until cooked through. The beef and mushrooms will release a lot of liquids. Ladle this out of the slow cooker in the last 20 minutes of its cooking. In a bowl, mix together Kickin' Ketchup, brown sugar, ground mustard, and Worcestershire sauce. Spread over the loaf and cook on Low for another 15 minutes. Prior to serving, let sit so juices stay intact - enjoy!